Here is the video of the kids finally getting to sing their song in church for Easter Sunday. I caught the end. The church was packed, but they weren’t nervous at all! They are adorable! They did a wonderful job, too! I’m sure they will do a beautiful job in their Easter presentation! They really did a great job singing that. They are nice and clear and hearing little children sing must bring such praise to Him. You are doing a great job with the kids. Keep training them for the Lord. There are so many kids that are growing up, even in Christian homes, where the Lord is put last!! Thanks so much for sending this great video reminding us of the true meaning of Easter. Have a great Easter!!!! OMG THEY ARE JUST TOO ADORABLE, I HOPE YOU GUYS ALL HAVE A HAPPY EASTER! LOVE YOU GUYS! Thanks for sharing such a cute video. Great song…the words have great meaning and power. I hope your Easter Program is fabulous! 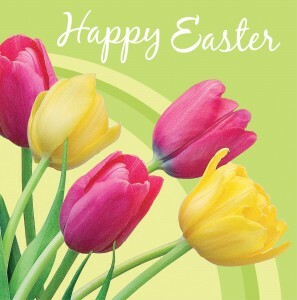 Happy Easter to you and your family. They are so precious & they could sing! Great that you are raising your children to love the God. This started my day off great! Aww they were soo cute and did a great job, wow not shy at all, thas great :-). Miss and love you guys! The children are beautiful, i love the video, thanks for sharing it with me.